New York (TADIAS) – In a new book entitled Prevail: The Inspiring Story of Ethiopia’s Victory over Mussolini’s Invasion, Jeff Pearce, a journalist based in Toronto, focuses on rarely told and fascinating personal stories from the war, each of which is worthy of a big screen movie. Take, for starters, the account of Ambassador Imru Zelleke, 90, who now resides in the U.S. and whom the author interviews extensively about his experiences witnessing the first horrible incidents of Yekatit 12, the Graziani Massacre, and then was taken to an Italian concentration camp the next day. 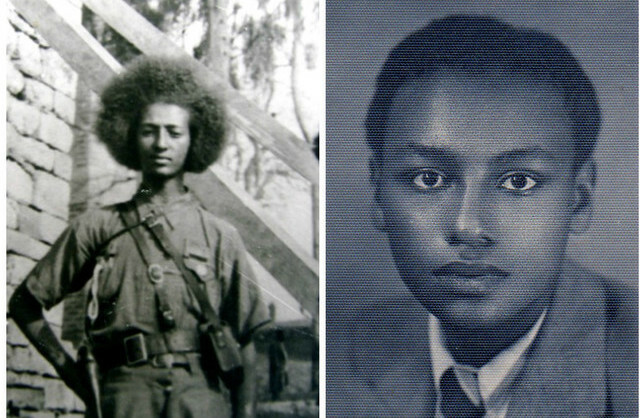 Imru’s narrative is paralleled with other Ethiopian heroes including General Jagama Kello; Ethiopian activist Dr. Melaku Beyan who led and forged close relations between African Americans and Ethiopians as part of his awareness and fundraising campaign in the 1930′s in the United States; and African American fighter pilot Colonel John Robinson (the Brown Condor) from Chicago who volunteered his services and commandeered Ethiopia’s only plane for the duration of the conflict. And, of course, the role of Emperor Haile Selassie, whom the author observes is held in high esteem today by foreigners, ironically, than his own people. Pearce also relies on other noted scholars of Ethiopian history including Richard Pankhurst and William Scott who gave him access to their research. “This book is indebted to them and so many other historians,” Pearce said. You can purchase the book at Barnes & Noble or at Amazon.com.